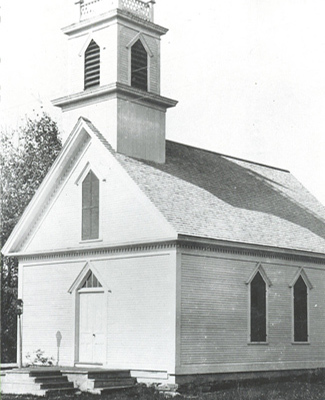 The church in Chittenden was first called "Church of the Wildwood" in 1976, however it had been organized as a congregation of the Methodist Episcopal Church in 1850. The present building was erected in the late 1880's and expanded in 1957. It was moved aside in 1984, a basement was dug, and the building was moved back onto the new foundation. The congregation draws from Chittenden and nearby communities. The spirit of openness and the warmth of its welcome are well-known throughout the area. Persons from various denominations comprise our membership and we are ecumenical in relation to other churches. Lives have been changed, new directions discovered, and the possibilities of the human mind and spirit uncovered and cultivated through being a part of Church of the Wildwood.